On Sunday afternoon, Bayer will welcome Fortuna Düsseldorf at the BayArena. Bayer are sharing fifth place with Eintracht Frankfurt while Fortuna is in the middle of the table. Even though they are not close on points, both teams are in good form. Bayer has won 15 out 18 while Fortuna has won 13 out of 18 possible points in the last six matches. That’s five wins and a defeat for Bayer and four wins, a defeat and a draw for Fortuna. Bayer lost to Mönchengladbach while Fortuna lost to Leipzig. Additionally, the visitors drew with Hoffenheim. Both sides are out of the DFB Cup. Bayer surprisingly lost to 1. FC Heidenheim 1846 away. Fortuna fell to a 4:1 defeat in Schalke. The two sides met only seven times in recent history but Fortuna last beat Bayer in 2010. The hosts are strong at home while the visitors are unbeaten in three away games. This guarantees a great match-up. Bayer are still a favourite. Julian Brandt is one of the most promising wingers in Germany. He started playing football in his hometown, Bremen, at SC Borgfeld, moving to FC Oberneuland, after which he joined VLF Wolfsburg’s youth academy. With 27 goals in his 48 games during two seasons with the Wolves, Brandt recommended himself to Bayer 04 Leverkusen, signing a five-and-a-half-year contract in January 2014. The 22-year-old winger prefers to play on the left flank, but he can also provide help on the right side, as well as an attacking midfielder. During the season 2015/2016, Julian Brandt netted goals in six consecutive games, becoming the youngest player since Gerd Muller to achieve this. The good performances in the season made Joackim Low call the youngster in Germany’s preliminary 27-man squad for the Euro 2016 and he made his first appearance for the senior squad in May 2016, against Slovakia. He was a part of the Germany squad at the Summer Olympics, where Brandt and his teammates won the silver medal. In the summer of 2018, Julian Brandt made the World Cup team. 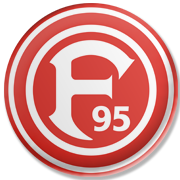 Founded on May 5, 1985, Fortuna Dusseldorf are a German side that compete in Bundesliga . The Fingeraner welcome their rivals at their Espirit Arena, the venue that was opened in 2004. The capacity of the stadium is 54,600, but the venue did not host 2016 FIFA World Cup games. Fortuna Dusseldorf play home games in red shirts and red shorts, with the team wearing white shirts with red stripes and white shorts on the travels. The club did well to win the Western German championship in 1931 and two years later they lifted the trophy in the German championship, which is considered their biggest success. Speaking of the German Cup, Fortuna Dusseldorf won the DFB-Pokal twice (1979, 1980), while making it to the final of the competition in 1937, 1957, 1958, 1962 and 1978. The likes of Paul Janes, Anton Turek, Stanislaus Kobierski, Klaus Allofs, Ernst Albrecht and Erich Juskowiak are some of notable footballers who played for the Fingeraner in the past.